“My dogs are my babies, the more love I give to them, the more they give to me. They reduce my stress, and keep both my heart and my mind in good health,” says Ameera Shah, chief executive officer and president, Metropolis Healthcare Ltd, in Mumbai. Most people are happy to share how much they value the companionship, affection and sense of well-being they derive from their pets. Medical research shows us how this sense of well-being plays out in terms of improvements in heart health, whether or not we get allergies, and our ability to manage stress. In a 2002 study, researchers measured changes in heart rate and blood pressure in participants who were undergoing a mildly stressful event (a timed math test) where they were divided into two groups: One group included people who owned pets (dogs and cats) and the second comprised people who didn’t. The pet owners had lower heart rates and blood pressure measures before the math test and were also less likely to have spikes in heart rates and blood pressure while performing the test. Their heart rate and blood pressure measurements also returned to normal much faster. Having pets can also provide social support, encouraging more social interaction with people and reducing feelings of loneliness and isolation, particularly in the elderly. “Dog walking can effectively help us to be more physically active,” writes Sandra McCune, scientific leader for human animal interaction, Waltham Centre for Pet Nutrition, UK, in an email interview. Having pets also appears to keep seasonal illnesses at bay. A German study, conducted in 2006, that collected pet information from over 9,000 people found that people with pets had fewer doctor visits in a year than those who didn’t. The study was published in 2007 in the Social Indicators Research journal. A study in China, published in the same journal in 2008, came up with similar findings—dog owners had fewer doctor visits, took fewer days off sick from work and exercised more than non-dog owners. Pets can help heal too. Animal-assisted therapy, or AAT, is a kind of therapy that employs the use of animals specifically trained to help patients heal—or even detect changes in the body. Experience with animal-assisted therapy is showing us how animals can be trained to detect changes in certain illnesses like blood sugar levels in diabetics, and can even help quicken the pace of healing. 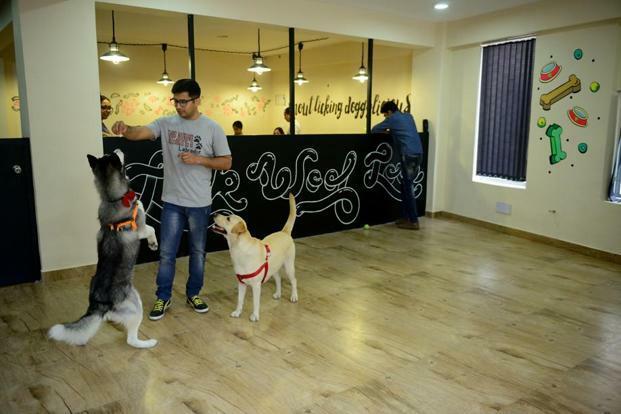 Minal Kavishwar, founder and president of the Pune-based non-profit Animal Angels Foundation, who works in the field of human-animal interaction, says animals provide unconditional love that can be harnessed for both therapy and companionship. “While every dog has the ability to understand human emotions, only some can respond to them appropriately. Those dogs that are AAT-trainable can sometimes perceive what goes beyond both body language and emotions,” says Kavishwar, describing the case of a pet labrador that was AAT trained and could detect his owner’s pain episode by licking her leg before it started. In AAT, which is gaining currency in India, it’s generally dogs that are trained for the purpose, just as they are trained to be house pets. “There was a physiological change in the lady’s body that the dog could detect before she could. This insight helped prepare her family for the debilitation that followed,” explains Kavishwar. It is important to remember that while some human-pet relationships are rewarding and healing, all human-pet relationships aren’t necessarily able to provide the same level of healing. Some people are just more attached to their pets than others and this attachment can influence the impact the pet has on the person’s health. The decision to adopt a pet, then, should be a carefully considered one: Pet owners have the responsibility of ensuring the health and welfare of their pets too.